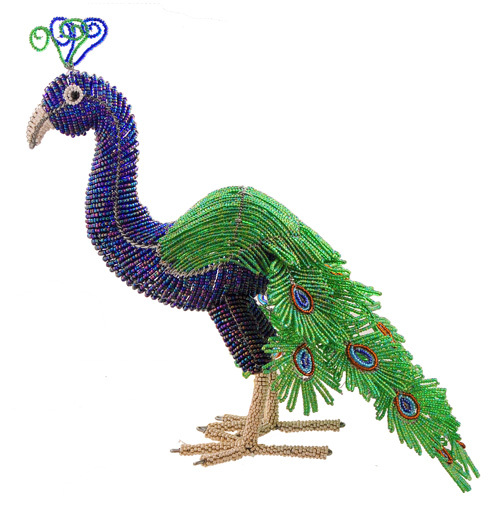 This 18″ tall x 18″ long beaded peacock figurine is a true masterpiece! 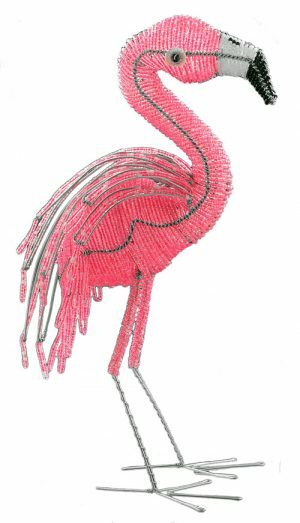 Enhance your garden or patio with this magnificent display! 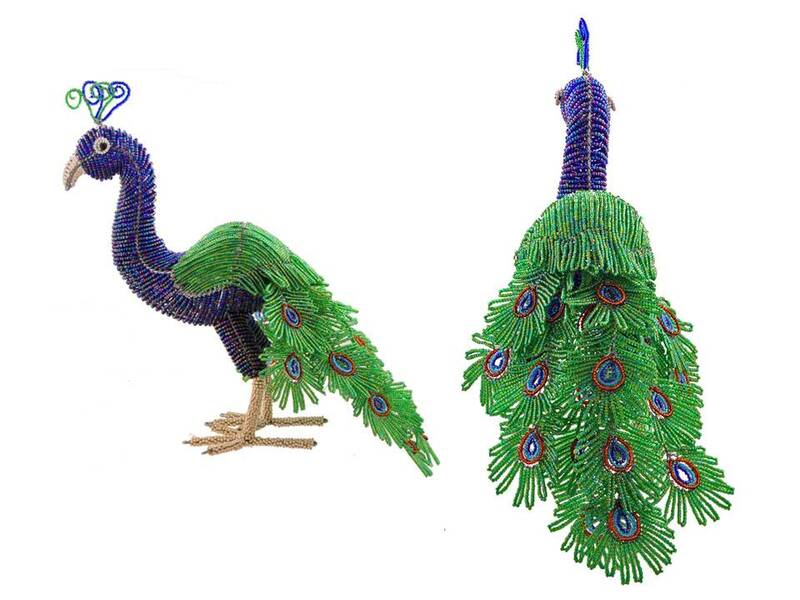 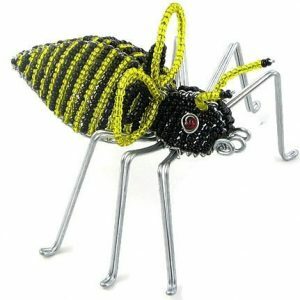 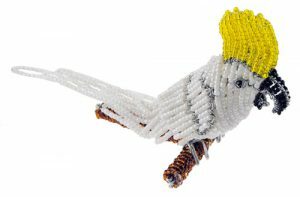 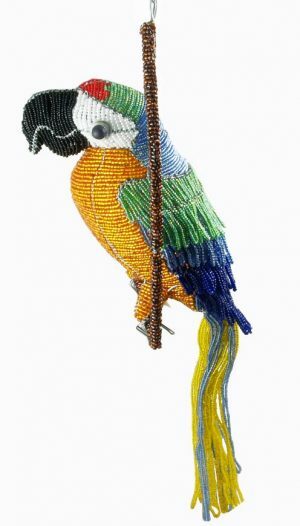 This stunning fair trade beaded peacock figurine is painstakingly hand crafted by Africa’s best bead and wire artists in South Africa and Zimbabwe.